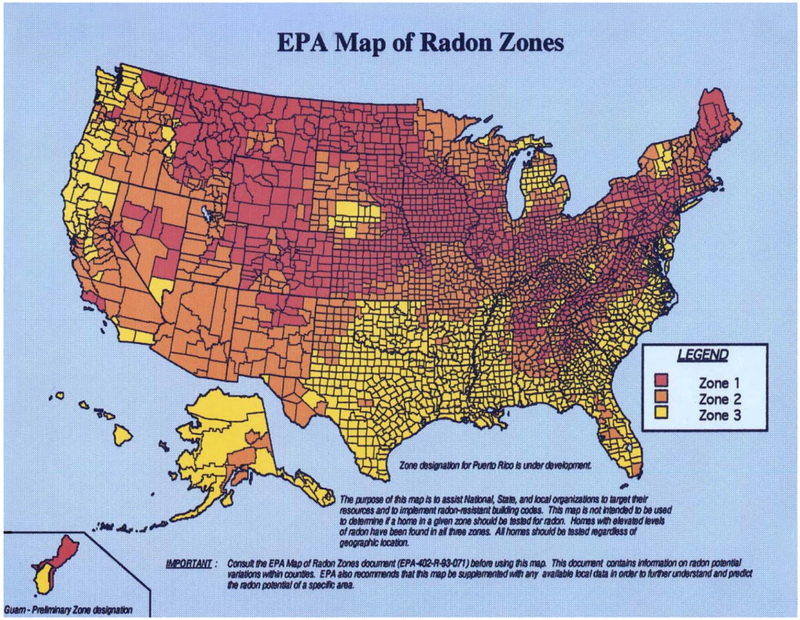 Radon is a naturally occurring radioactive gas that is colorless, odorless and tasteless. Exposure to elevated radon concentrations increases the risk of lung cancer. According to the Environmental Protection Agency (EPA), radon is the number one cause of lung cancer among non-smokers and is the second leading cause of lung cancer overall. Radon comes from the natural (radioactive) breakdown of uranium in rocks and soil and can enter homes, apartment units, and other buildings through cracks and other openings in the foundations. High radon levels exist in every state in the U.S. and vary widely from building to building. As a developer, owner and/or manager of multi-family housing, commercial properties, day care centers, and/or schools you should be aware of radon risks. Through proper awareness, testing, and mitigation, these radon related health risks are greatly minimized. Short term radon testing takes between 2 to 5 days and provides a quick snapshot of radon concentrations. Short term tests require minimizing air exchange into and out of a building. This means that windows, outside doors, and outside vents must remain closed during testing except for normal building entry and exit. Long term radon testing does not require closed building conditions, but can take a minimum of 91 days to a year to complete. While longer, this type of testing can better evaluate radon concentrations over time. Both types of radon tests provide accurate results; however, year-long tests better represent an annual average. Multi-family standards recommend testing 100% of the ground contact units and 10% or upper level units; however, some national protocols allow testing a lower percentage of units as a screening tool. Testing locations and the number of tests required for a large building will vary depending on the actual building and HVAC type and configuration. Braun Intertec follows a very specific quality control process that includes deploying additional radon tests that allow us to evaluate the accuracy and precision of our test procedures and results on every radon testing project. The EPA recommends taking corrective action for radon levels exceeding 4 picocuries per liter (pCi/l). Although concentrations below this level do not require mitigation, any radon exposure can still pose a health risk. Congress has set a long-term goal for indoor radon levels to be no more than outdoor levels, which have a reported average of about 0.4 pCi/l. If elevated levels of radon exist within a building, or plans for a new building are in development, the next step is determining your mitigation needs. 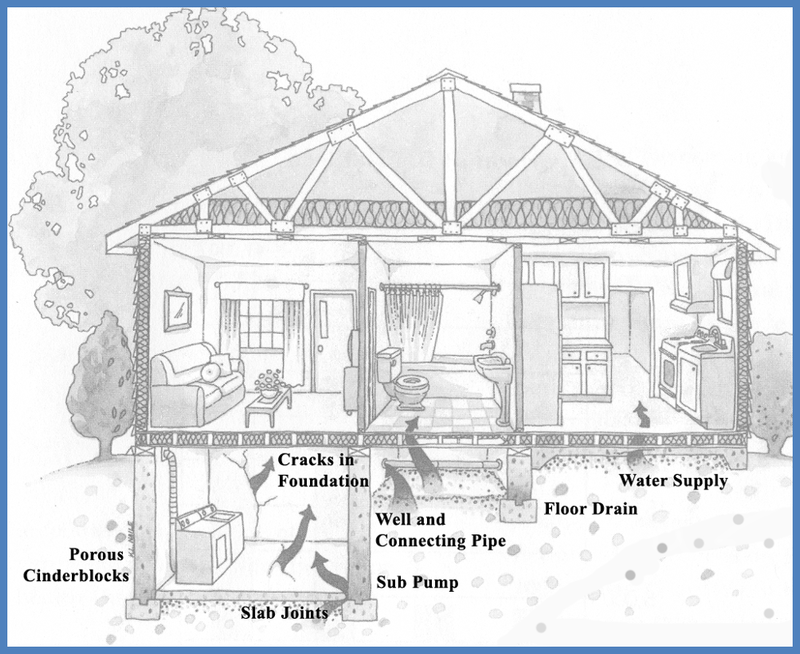 A professional engineer can design a mitigation system and oversee installation to reduce the risk of excess radon exposure to building occupants. These mitigation approaches are also effective at mitigating other toxic soil gases that intrude buildings from below which may be related to leaking fuel tanks or past industrial practices. Common components of a sub-slab depressurization (SSD) radon mitigation system designed for installation in an existing building include: sub-slab suction pits, system vacuum piping, extraction fans, and system status monitors. Radon mitigation systems for building construction include: the design and installation of a sub-slab radon-resistant vapor barrier, radon ventilation/extraction layer, vapor collection and exhaust piping, and, optionally, a fan system to draw radon from below the slab and allow it to be exhausted harmlessly to the air above the building. Braun Intertec has NRPP-certified radon measurement and mitigation professionals that provide services in conformance with the national standards and local best management practices. We specialize in conducting short and long-term radon testing and mitigation in multi-family buildings as well as schools and large buildings. For more information on our radon services, contact Danielle Tautges or James Stephan.